Years ago when Ryan Johnson was making a special order knife for a SWAT team member, a good friend and resident critic John came by the shop to look the knife over. "The tip is too narrow and thin," he said. "It will break if the person using the knife tries to pry something open." 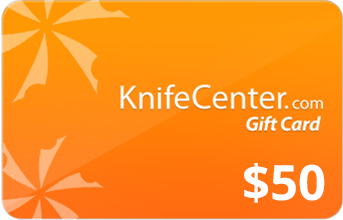 Ryan told him that this knife was not meant to be used as a pry-bar, just for cutting. John then said something that both defined the word "tactical" and, most importantly, changed Ryan's design paradigm forever: "The situations this person finds himself in should determine what this knife is used for. If he needs to cut something, it cuts. If he has to pry a door open, it's a pry-bar. These are high-energy situations where every second counts. You can't carry everything you would like to carry; the knife will have to be able to complete a multitude of tasks." In a perfect world, a soldier or law enforcement officer would have ready access to all of the tools and weapons he ever needed, but that just isn't possible. 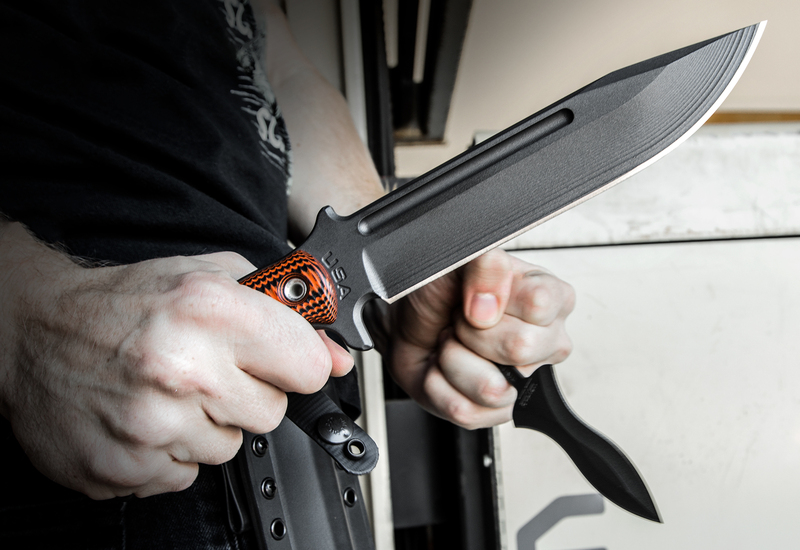 It takes more than an aggressive look or a gray and black finish to make a fixed blade a tactical knife. Remember, knives meet the needs of the soldiers and frontiersman as both a tool and weapon in the battlefield conditions they encounter. 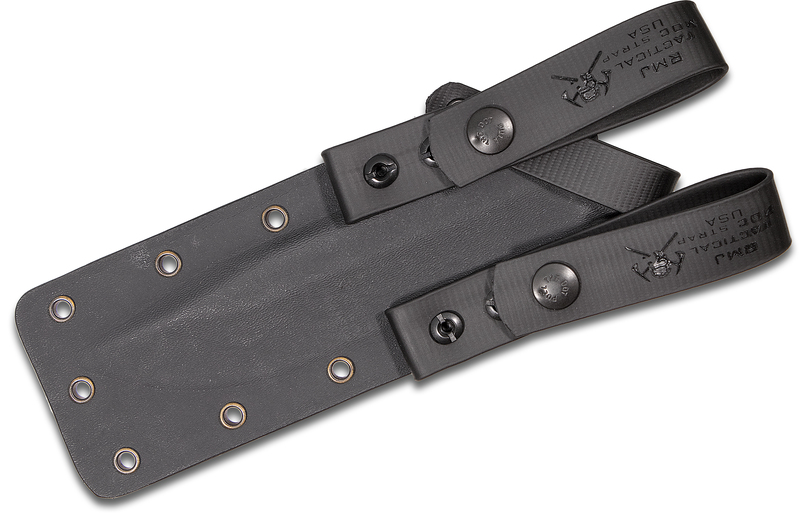 In Ryan's view, a contemporary tactical fixed blade should be able to withstand all modern battlefield conditions — areas ranging from the Salt Lake City, Utah, Olympics, to the Jungles of South America, to the rugged mountains in Afghanistan. (RMJ Tactical knives have been carried in all three). The Combat Africa is a knife with World War II lines and modern day feel. 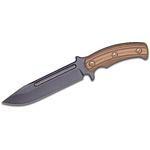 It measures 12" overall with a 7" 80CRV2 carbon steel blade wearing a sniper gray Cerakote finish. 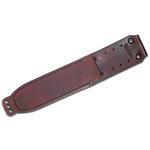 The G10 handles are manufactured in-house, so you know they are quality in addition to looking extremely excellent. 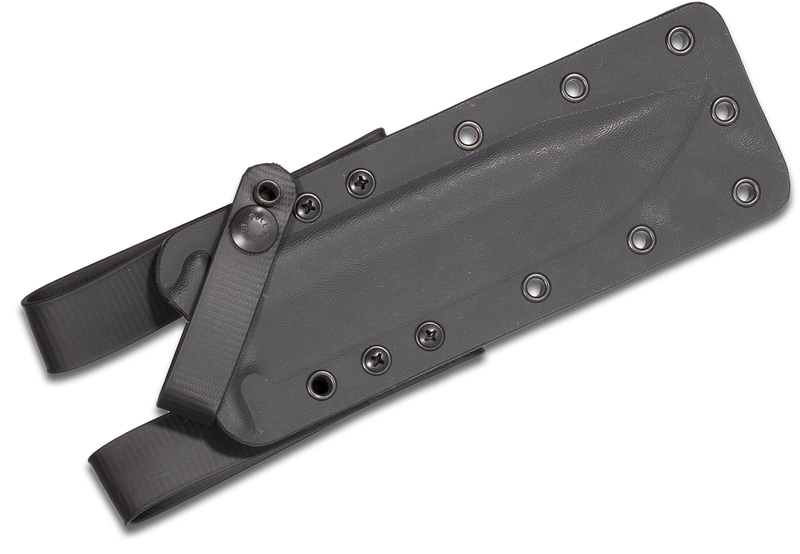 The knife includes a friction fit Kydex sheath with low ride MOC straps allowing for comfortable belt carry and was proudly made in the USA. Looks like an excellent knife! This is a good looking example of a really functional multi-purpose piece of cutlery . Well made and easy on the eyes . A nice addition to anyone's bug out bag . 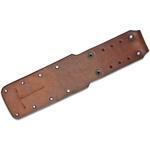 This is both a real utility knife and a fine example of a knife to eliminate targets as needed . All and all a very fine example of the knife makers art . 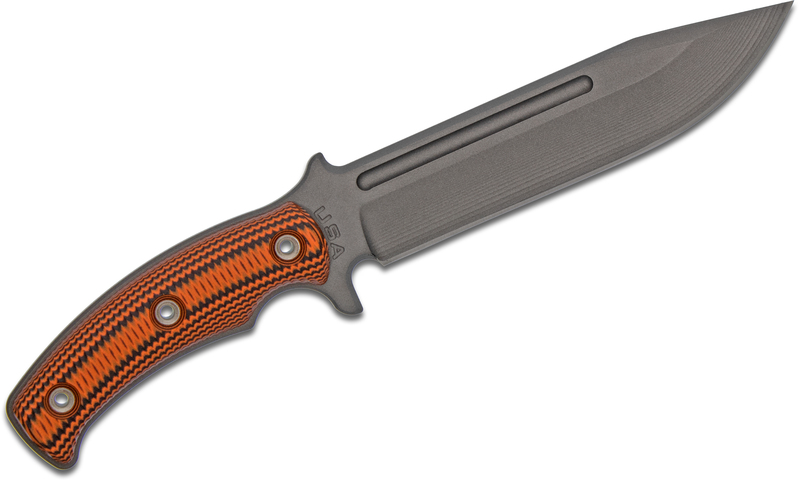 Hey, I wanted to share "RMJ Tactical Combat Africa Fixed 7 inch 80CRV2 Carbon Blade, Black/Orange G10 Handles, Kydex Sheath with Low Ride Straps - KnifeCenter Exclusive" with you from KnifeCenter.